How Enterprise Mobility Solutions are paving the Way for Indian Healthcare? In today’s media-frenzy world, anything that’s in the limelight for more than a few days becomes the talk of town. That’s not just true about celebrity-lifestyle or viral videos, but even Government policies and impactful changes to the society’s dynamics. Obamacare was one such policy that had an impact on the entire world. It not only brought the long-impending issue of affordable and high-quality healthcare to light, but also gave a boost to innovative healthcare solutions, especially enterprise mobility solutions. In recent years, the Indian healthcare sector has grown to be one of the largest industries in terms of both revenue and employment. It comprises of medicinal equipment, medical devices, health insurance, pharmaceuticals, hospitals and more. Growing at a rapid pace due to the adoption of innovative and cutting-edge technologies, like mobility solutions, the Indian healthcare sector is expected to touch approx. USD $280-$300 by 2020. A substantial increase in the usage of digital devices, including smartphones and tablets, among both customers and healthcare specialists, has allowed mobility solutions to penetrate the healthcare sector and not only earn more revenue for healthcare providers, but also improve patient record management and ensure hassle-free consultations. With a high adoption rate, mobility solutions will be the key technology supporting the Indian healthcare industry. The emergence of several healthcare app development companies is a testament to this statement. According to a recent survey, almost 30% healthcare providers already have some sort of mobility solutions in place, especially in areas like inventory management, patient records and remote care. Mobile technologies have changed the face of Indian healthcare, and allow both customers and healthcare providers to bypass traditional norms regarding appointments, doctor consultations, patient health reports etc. This not only leads to better healthcare management, but also makes the entire process simpler. How are Mobility Solutions Changing the Face of Healthcare? While the Indian healthcare IT sector is still in the early stages of adoption, there have been many innovative implementations of healthcare practices. In recent times, the growth of private conglomerates and emergence of healthcare start-ups like 1mg, Healthkart and others has boded well for Indian healthcare. 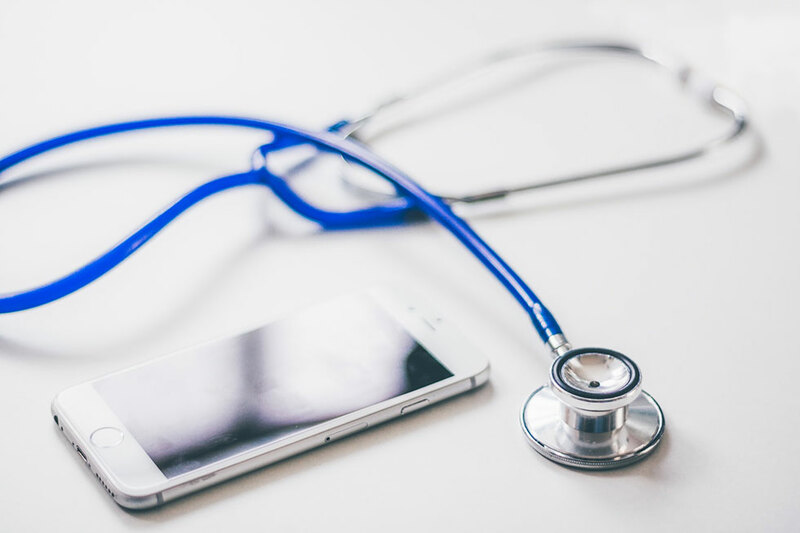 Several start-ups, enterprises and healthcare app development companies have emerged with innovative technologies to ensure doctors and patients are easily connected, anywhere and anytime. While this has increased the volume of patients having access to doctors, it has also reduced the time taken for consultations. Introducing mobility solutions to healthcare has led to secured data of patients, improved healthcare practices, reduced complexities and detection of diseases in early stages. Innovative mobile technologies have also provided opportunities in homecare industry, which has turned out to be an important part of the global healthcare sector. With mobility solutions, companies have been able to provide doorstep services, such as doctor consultations, collection of blood samples, delivering reports etc. Certain sections of the demographic, especially pregnant women and elderlies, have been receiving numerous benefits through these services. Enterprise mobility solutions have also opened the doors for employment generation. Technology platforms allow doctors and patients to connect directly and instantly. This is even more important for sections of the population living in remote areas. A few incredible applications already available in the market allow patients to upload prescriptions and purchase medicines with the push of a button. Enterprise mobility solutions have rapidly become an important and integrated part of the Indian healthcare industry. Such healthcare solutions have been able to provide improved patient care, response time and workflow efficiency, while reducing risks and costs. In addition to this, mobility solutions integrate the results and output from one department with several databases, thereby enabling accurate diagnosis with rapid decision-making and faster response times. All this leads to improved quality of healthcare along with higher revenues for service providers. Last but not the least, increased usage of smartphones and growing dependence on self-care management via healthcare applications continues to pave way for innovative developments in the coming years. It’s a good time for companies to get on board with healthcare practices that integrate with mobility solutions.